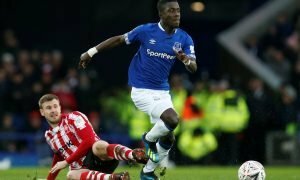 The 20-year-old Leeds sensation that could be Everton's next Leighton Baines | The Transfer Tavern | News, breakdown and analysis on all things football! 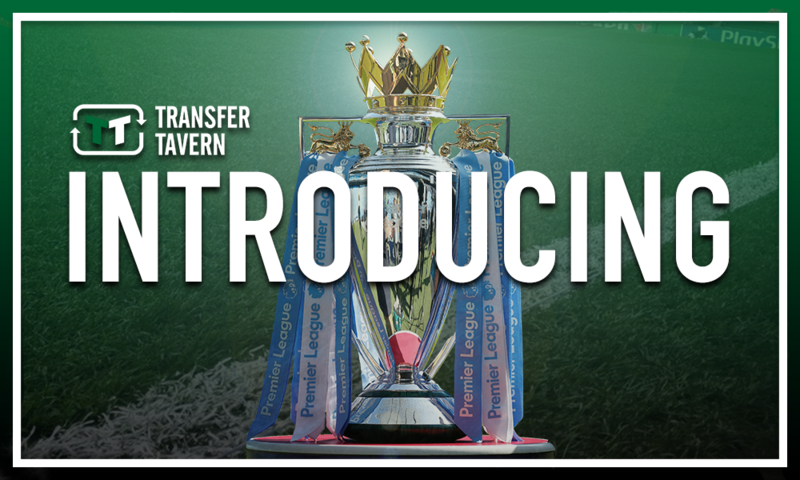 Everton supporters in the Transfer Tavern are very much looking forward to the new era at Goodison Park following the arrival of Marco Silva as the club’s new manager last month. The 40-year-old replaces Sam Allardyce in the Toffees hotseat following the Englishman’s departure at the end of last season, this all despite leading the Merseysiders to an eighth place finish in the Premier League. Nonetheless, the way he went about it didn’t go down well with Evertonians up and down the country, with several thrilled to see former Hull City and Watford boss Silva leading their side into the 2018/19 campaign. 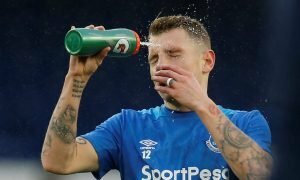 As such, there are many excited and expectant Toffees fans in the Tavern at present, several of whom are beginning to wonder who could be the next long-term left back at their club, what with Leighton Baines entering the final year of his contract. 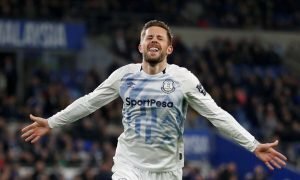 The 33-year-old has been an outstanding servant for the Merseyside outfit ever since his move from Wigan Athletic back in 2007, with the former England international playing over 400 times for the Toffees, in which time he has scored 38 goals and laid on 66 assists. However, our resident Everton fans got a glimpse of what things would look like after Baines during his time on the sidelines last term, with it clear that no one in the squad at present has what it takes to fill the Englishman’s shoes. And that is where Leeds United sensation Tom Pearce comes in, as he has made a sterling start to life in professional football in the last few months. The 20-year-old originally started at Everton as a youth player before making the move to Leeds back in 2014, for whom he then progressed through the ranks before making his senior debut in March of this year in their 2-1 defeat to Sheffield Wednesday. And four further starts, all of which coming in their final four matches of the campaign, followed for the Englishman to underline the high regard he is held in at Elland Road, with a goal in their success over Barnsley alongside several impressive displays earning him rave reviews. Add in a new contract with the Yorkshire giants, and things are certainly looking up for the left back at Leeds, who has already been linked with a move to the Premier League, including Everton, such has been his incredible start to life in the Whites first team. And with Everton seemingly on the lookout for their next Baines, the answer could well lay in Leeds’ 20-year-old Pearce. Everton and Leeds fans… what do you think? Let us know!